Mission of Honor was featured on WCCO News in Minneapolis recently – we are sharing the article here (see below). The full article and video clip can also be found on the WCCO website. Jim Crigler, a Vietnam Huey pilot began his trip at the headwaters on Earth Day. The 67-year-old made a stop in the Twin Cities at Boom Island Monday. Two weeks after he left Itasca, he already has 500 miles under his belt, with more than 1,700 miles to go. 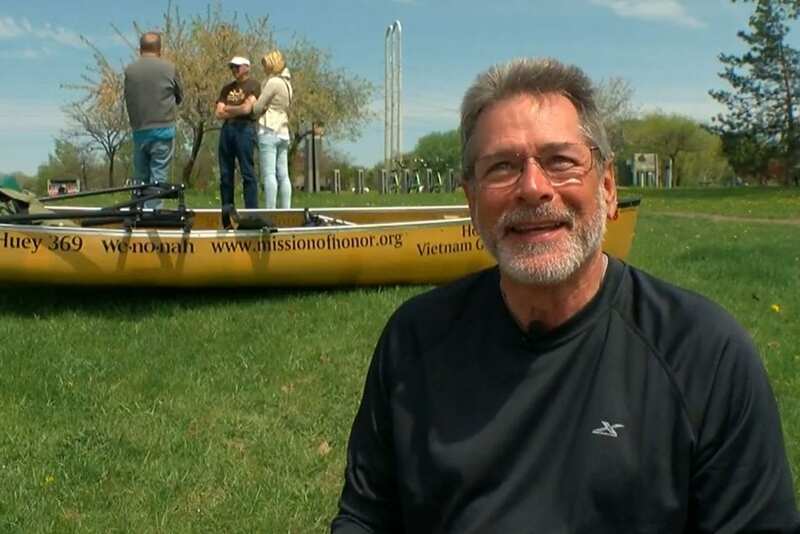 He’s hoping to raise money through his trip for families of fallen Vietnam Vets. 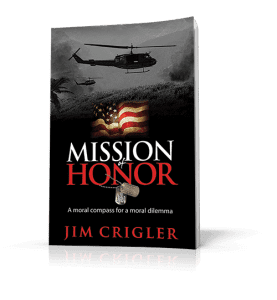 Jim Crigler flew over 2,000 missions as a Huey pilot in Vietnam, and now he’s on another one — rowing the entire 2,300 miles of the Mississippi. Crigler says it wasn’t on his bucket list — he’s doing it to bring awareness to a wrong he wants to right for Vietnam Vets and their families. “I want normal American citizens to look up a gold star family in their community. I want them to get a 49-cent stamp, and an envelope and a piece of paper, and write them a thank you note for the sacrifice they’ve made to our country,” he said. He’s well equipped, with a custom-made Wenona Canoe, GPS, a support team and a specialized EZ-Row system to help make better time. The “American Huey 369” on his canoe represents a Huey flying museum. Crigler gives honor flights to veterans and gold stars families. “If you could see the faces of these families, and talk to them and see the honor they feel they’ve been given after we do these flights, you know why I’m so passionate about raising money,” he said. And with an average of about 50 miles a day, he plans on making it to New Orleans the last week of June. For more information on Crigler and his mission, visit his website or Facebook page.